Termites play a vital part in devastating your house and its foundation. These house-munching critters leave no stone unturned in destructing your house in a matter of few months. When these destructive creatures invade in your space, they do not make a noise. The critters target cellulose items. The wood items of your place are likely to be destructed more by termites. Termites or white ants ruin the foundation of your home. The entry path termites choose to get in your home is through foundation and moisture-based places. Have a sound barrier against termites in your home by having “termites treatment Perth” from our pest specialists of our pest control company. How termites appear to be? Termites resemble ants. 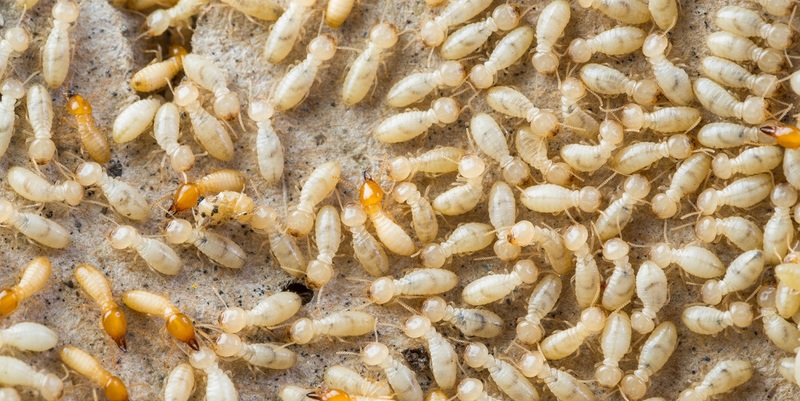 Owing to the white color, termites cannot be spotted with naked eyes. The swarmers are capable to fly. The shape of the waist of termite is straight. There are straight antennae above the head of termites. The wings of termites are of same length. Unlike flying ants, termites do not shed their wings while flying. The species of termites which prove to be a disaster for your home are formosan termites, subterranean termites, desert termites, conehead termites and dampwood termites. Our pest officers will give you details on every termite specie, so that you will know which termites are in your zone at present. * Termite mounds which are approximately 6 to 9 feet tall can be seen in many places. The mounds can be of various sizes. * Tunnels made up of mud can be seen moisture and also inside the wooden items. * Swarmers are the prominent signs which indicate the presence of termites. * Peeling of wallpapers and paints from the wall signify termites have already infested in your house. How to drive out termites? A. Moisture builds up from excess water. Hence, you should reduce the source of moisture in your place. B. Wooden debris which have been kept in the backyard for so long should be removed at the earliest. C. Do not keep wooden items touched with soil. D. Your rooms should have sufficient air flow. Create vents in every room to let air flow in your rooms. E. Old tree stumps and shrubs should be cleared off from your surroundings. We use advance method of termite detection by using moisture-detecting devices and other equipment which will help our pest inspectors know the unreachable nesting points of termites. By using eco-friendly termites control Perth solutions, the insects will be exterminated on the spot and no new colonies of termites will be ever built in your home. In order to prevent termites from invading your house, the one-time treatment is not enough. Our service guys will arrive at your place as per the contract regularly for inspection and implemention of termite pesticides. From soil, wooden structures to every stuff of your place, our pest inspectors will assess every place of your indoor and outdoor territory. The assessment report will consist of the details of termite inspection and the level of infestation in your indoor and outdoor places. You will come to know from the report in which places termites have built nests and to what extent your property has been ruined. The termites control services used by our pest contractors will prove to be non-toxic for you, but highly toxic for the critters. Modern enviro-friendly chemical pesticides will be used against termites to eradicate them from the roots.